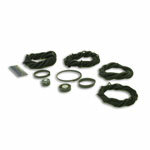 If you're looking for a custom, and truly customizable wiring harness for your vehicle, this is it. If you need the ultimate in weatherproof fuse panels for your trail rig, or just want to make sure your wiring harness continues working like new as long as you own your rig, this is the one that can do it. For those who either have very customized vehicles, who work on and continue to customize their car or truck, or who just want to change the way the factory originally wired it, you can do it easiest and best with this harness. Easily as serviceable and as future-proof as they get. 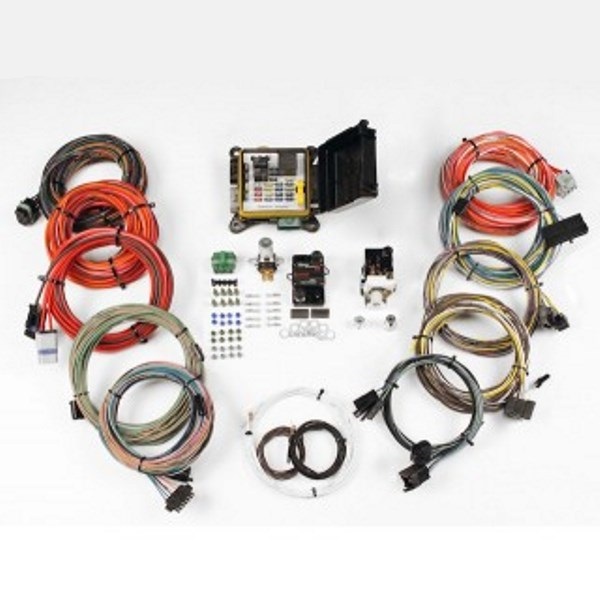 The new Severe Duty Universal full vehicle wiring kit from American Autowire is a powerful, weatherproof electrical system designed for use in rugged environments. The main fuse box can can be mounted literally anywhere you want on most vehicles, including under the hood or in an area otherwise exposed to the elements where you would never consider mounting other fuse boxes. It's 24 circuit box uses fully sealed connectors to the external wiring that let you route each wire, or wire bundle in the cleanest or most efficient way possible. Whether you have a hot-rod you're trying to clean up the wiring on, or an old Bronco that you just need durability and the ability to route the longer wires to be more out of harm's way. It features an all new compact fully sealed 24 circuit fuse box with electronic flasher and 35 amp relay. The fuse box is protected by our new sealed manually resettable 200 amp circuit breaker for maximum reliability in harsh outdoor environments. All new fully sealed 24 circuit fuse box with circuitry that is proprietary to American Autowire is rated at 200 amps. Main harness come pre-terminated at one end in fully sealed connectors with over 200" of tough heat resistant GXL wire with the primary functions printed every 2" for easy installation and diagnoses. Power harness comes pre-terminated at one end in fully sealed connectors with over 100" of tough heat resistant GXL wire. The accessory kit includes a sealed connector that plugs into the fuse box in the optional outlet. 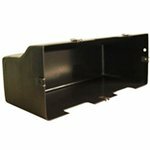 It includes seals and terminals with 4x400" of 18, 16, 14, and 12 gauge wire in different colors for all of your additional power requirements. Instrument Cluster wiring is designed with a "cluster harness disconnect" system for easy service and assembly. The system will also connect into most popular aftermarket gauges such as DAKOTA DIGITAL, CLASSIC INSTRUMENTS, AUTOMETER, VDO, and others. Subkits for connecting turn signals, headlights, tail lights, parking lights, brake lights, gauges, third brake light, license plate light, and basic engine functions and sensors included. All subkits are pre-terminated at one end and provide long lengths of tough heat resistant GXL wire with the function of each wire printed every 2". The American Autowire Severe Duty wire harness is a complete, high quality rig!!! Thanks WildHorses4x4!! !